Box 5-1. At 14:47 hrs, Station 8 units were dispatched to assist on the first alarm assignment at 44 E. Baltimore Street in Taneytown, for fire in a bathroom with extension. The address was located directly across from the Taneytown fire station. First arriving personnel found a 2 story duplex with fire from the second floor Side "C" and the attic. Command was established by Chief 5-1 (Newman) and the RID (Rapid Intervention Dispatch) was requested. Crews had a hard time getting to the fire in the attic due to the access being covered over by wall material and the ceilings covered with drywall, plaster & lathe and solid wood. A second alarm was dispatched to the scene as the fire "gained ground". The fire eventually burned through the roof before crews could access the attic. Ladder pipes were used to knock a bulk of the fire down before crews could re-enter to extinguish the remaining hot-spots. 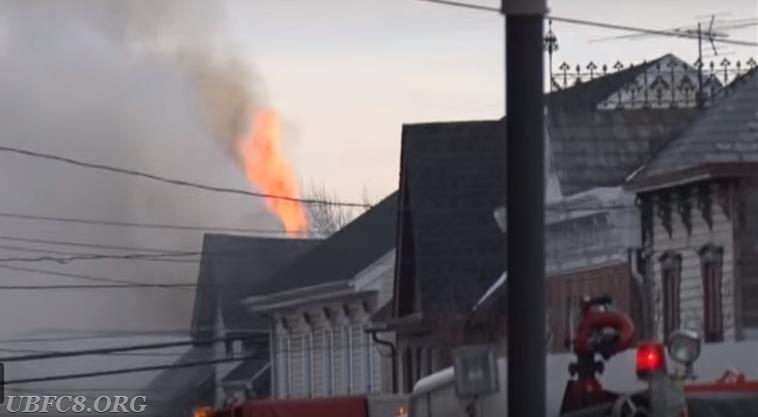 The fire was apparently started due the thawing of frozen pipes. Crews worked for several hours to overhaul the building. The Red Cross is assisting those effected by the fire. 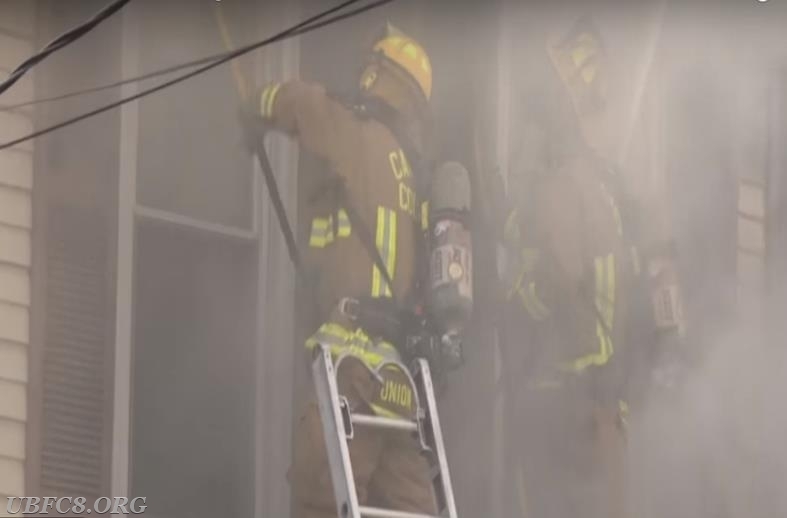 For videos from Statter911 (National Fire News) and the Carroll County news story, visit the links below.